style has no age limit | kensfolk. In a word: obsessed. This 90 year old beauty proves once and for all that style has no age restictions. 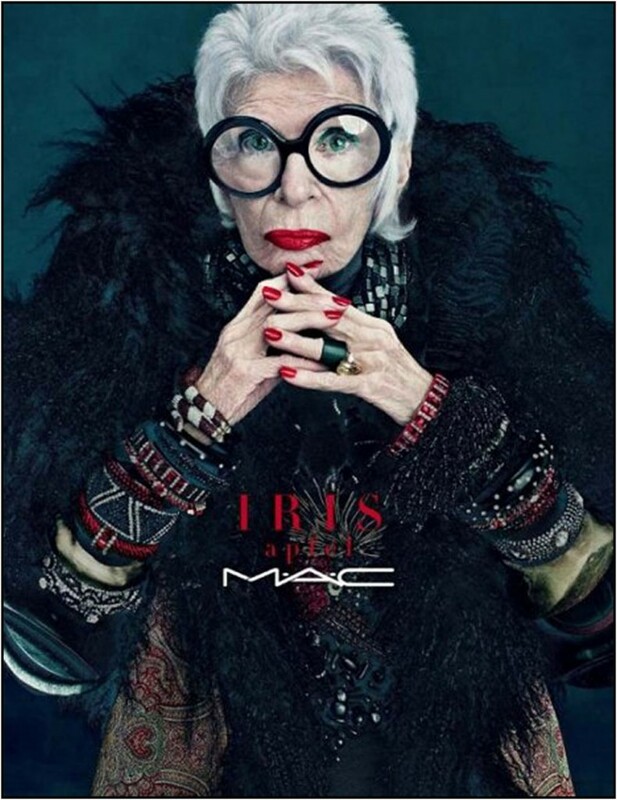 At almost a hundred years old, she began her own makeup line at Mac. But that isn’t where this business woman started. Oh, no. 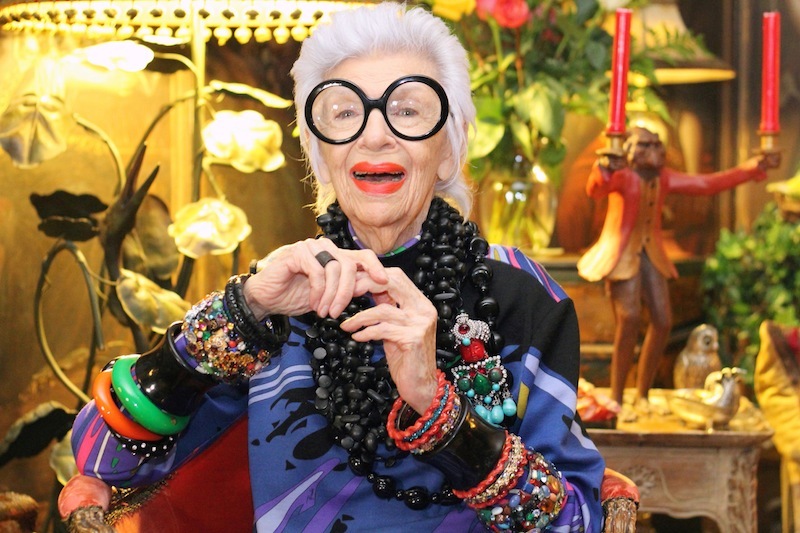 She was a former interior designer and huge style icon. When she was our age, she worked for the Women’s Wear Daily. Few years later she started a textile firm together with her husband until they both retired. However Iris wouldn’t be Iris if she didn’t continue doing some side jobs. And by “side jobs” we are talking about design projects for the White House for nine different presidents, and lecturing at many main fashion schools. There wasn’t anything in the creative world that this woman didn’t have her eyes out for… and got. 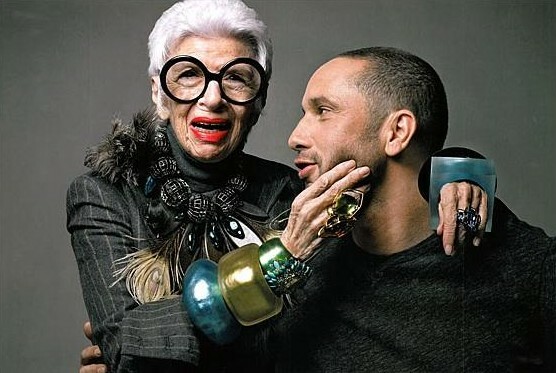 Iris Apfel is an inspiration to me, not only for her fashion, but for her strong work ethic that propelled her through a practically impenetrable line of work. 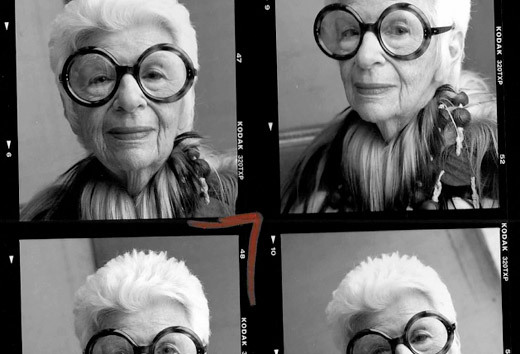 Cheers to you, Iris. Oscar- I can’t WAIT to see you all styled up for your 90th birthday. You’re going to be lookin hot.